Discover DIY projects, plans and tips, how-to articles and step-by-step guides for home improvement, yard work and other projects. 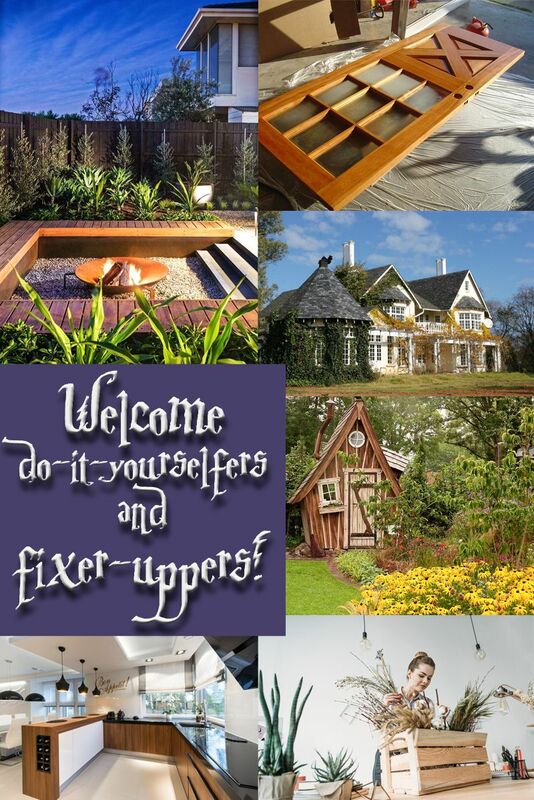 Find DIY Tips on Remodeling, Building, Fixing & Home Maintenance! Our tips, guides and plans will help you build an addition to your house, remodel your basement, add a front porch or back deck or re-shingle your roof. Also find tips for DIY home repair such as fixing a leaky faucet or stopping a running toilet. Save money by doing simple plumbing, electrical and other home repairs by yourself! Grow your own garden and tend a beautiful lawn with DIY tips, instructions and guides. Live healthier and save money by growing your own vegetables, do your own landscape design, perform yard work and other maintenance to have a beautiful backyard. HouseSumo.com's tips make it simple, from planting seeds and harvesting vegetables, to information on pesticides and pest control, lawn mower maintenance, planting trees, shrubs and hedges. Make your house a home with DIY decorating, painting and wallpapering guides. Our how-to articles and DIY tips will help you choose paint colors, paint brushes and other tools to paint your own home professionally. Also find guides to hanging wallpaper, light fixtures, themes for decorating different rooms in your home and all the other decorating guides you need!